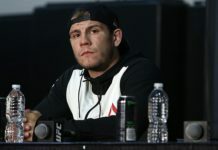 Gavin Tucker will be fighting at home in the Great White North, but heading South to bantamweight when he takes on Andre Soukhamthath at UFC Moncton this fall. The UFC Moncton card continues to grow. 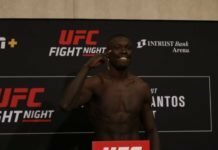 On Tuesday, UFC bantamweight Andre Soukhamthath announced a compelling match-up in the 135lb division for the Moncton card, otherwise known as UFC Fight Night 138. He’ll be welcoming Gavin Tucker to the division, in a fight that promises to be explosive. 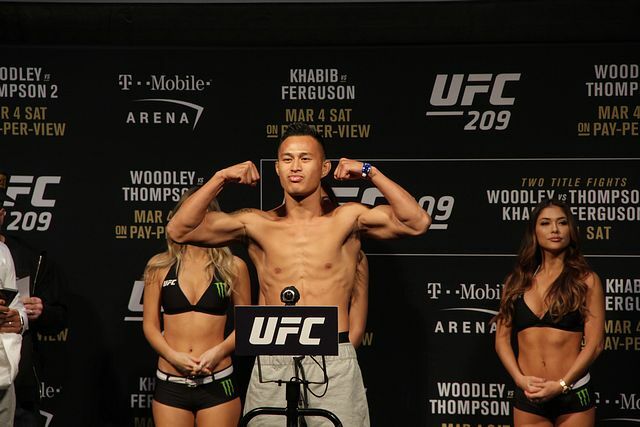 Soukhamthath (12-6), a former CES MMA bantamweight champ, is coming off a Fight of the Night loss against Sean O’Malley. 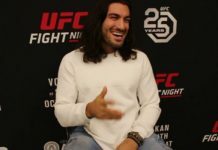 Prior to that, he’d finished Luke Sanders at UFC Fresno in December. Gavin Tucker, meanwhile, will be fighting at 135lbs for the first time in the UFC. Tucker (10-1), from nearby Newfoundland, came into the UFC with a ton of hype when he decimated Sam Sicilia. However, a follow-up loss to Rick Glenn halted his progress at UFC 215. The Soukhamthath fight will represent the first fight back for Tucker. It’s worth noting that prior to joining the UFC Tucker fought as high as lightweight. UFC Moncton takes place October 27 and is set to be headlined by Frankie Edgar Vs. The Korean Zombie. The event is being held at the Moncton Events Centre.